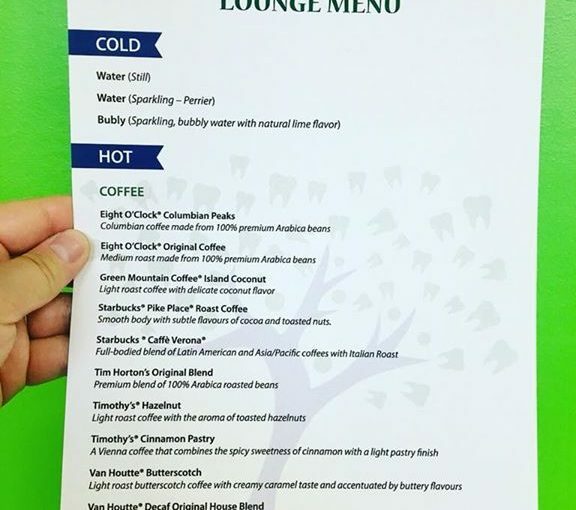 Now that it’s fall, we’re excited to announce our *new* lounge menu. 😊Enjoy a coffee, tea, hot chocolate, cider, or Perrier before your appointment. New patients and emergencies welcome. Call us at 780-474-2456 to schedule your appointment.